-Mess no more liquid tape. -Top coat nail color i.e. transparent one. How to do Two Toned Nail Art? -Now mix two nail colors in a separate bowl. 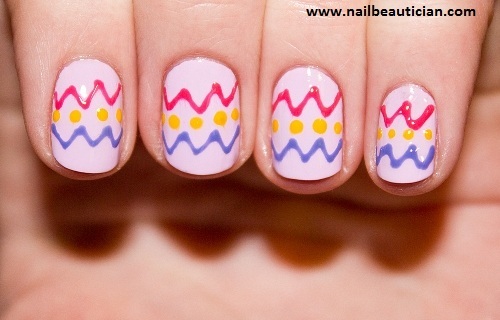 -Apply Mess no more nail tape around your nails. It will provide your skin from the nail color. -Now use sponge to apply the two nail colors on your nails. -Once you done, remove the mess no more nail tape. 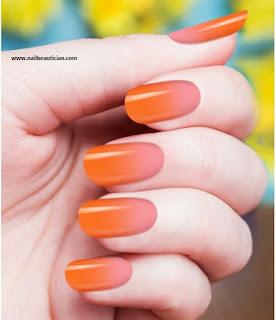 -Apply the transparent nail color for finishing the nails. 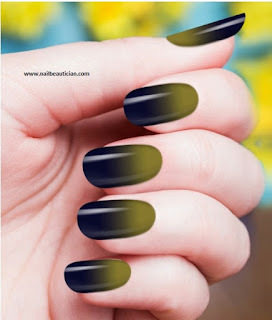 Here i am going to show different two toned nail art designs, that one can carry for any occassion.